**A Prime Line® Exclusive! 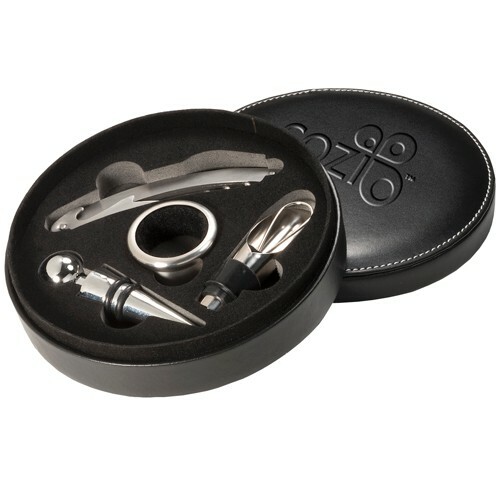 ** • Padded PVC leatherette case includes set of silver metal tools: corkscrew, drip ring, and bottle stopper. • Bottle stopper made of Zinc Alloy, all other components made of Stainless Steel • Stainless steel waiters key style corkscrew • Pieces fit snugly in EVA foam insert.